Maya Delaney is a skin-walker - a supernatural who can Shift into the shape of a cougar. But just as she learns this extraordinary truth about herself, she also discovers that Shifting comes with a terrible cost. With every transformation, a skin-walker loses touch with their human nature - and in time can lose their identity and their very sense of being human. Maya Delaney is a skin-walker - a supernatural who can Shift into the shape of a cougar. But her gift comes with a terrible cost. With every transformation, she risks losing touch with her human nature - until she is unable to return to her human form at all. 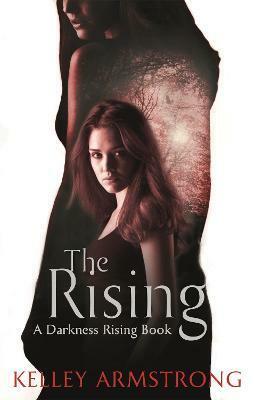 The Rising is the third book in the Darkness Rising trilogy. Kelley Armstrong is author of thirteen international bestselling Women of the Otherworld books, the highly acclaimed Darkest Powers and Darkness Rising YA series, two mainstream thrillers about a hit-woman, and two short story collections. She is currently working on a brand-new adult series. She lives in rural Ontario, Canada, with her husband, three children and far too many pets.